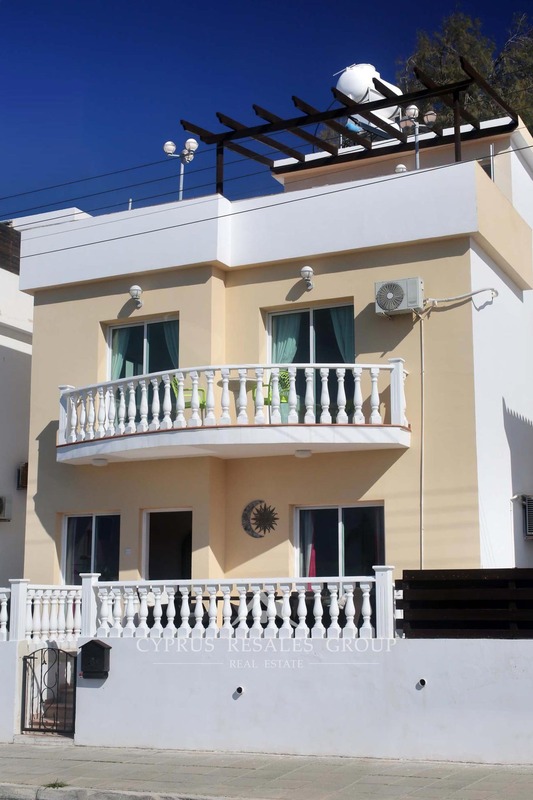 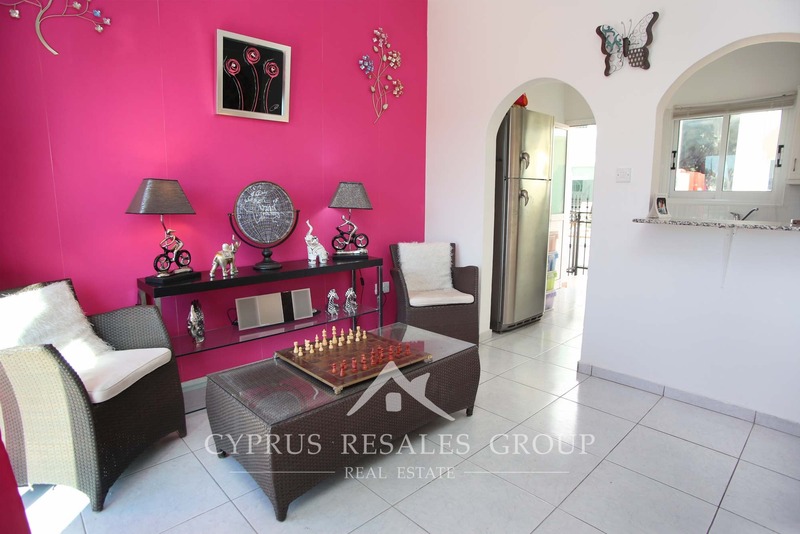 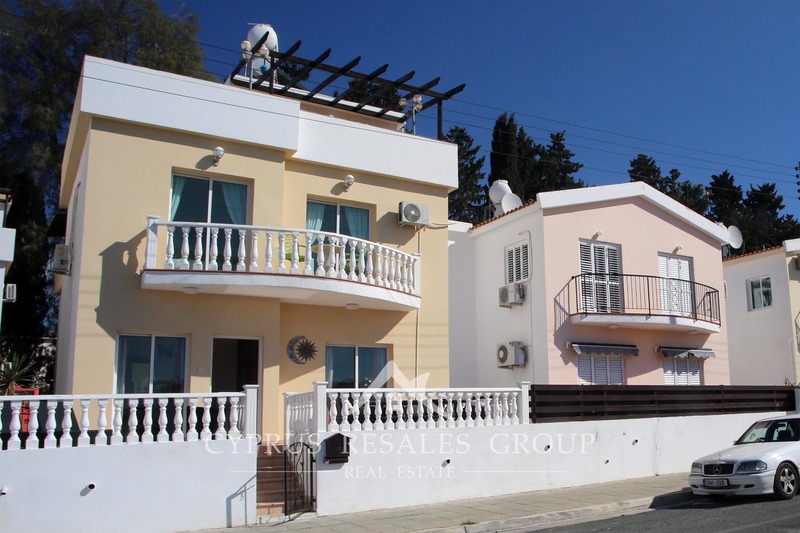 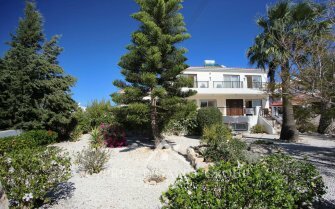 Delightfully presented 2 bedroom detached villa for sale in the very heart of the Universal area of Kato Paphos. 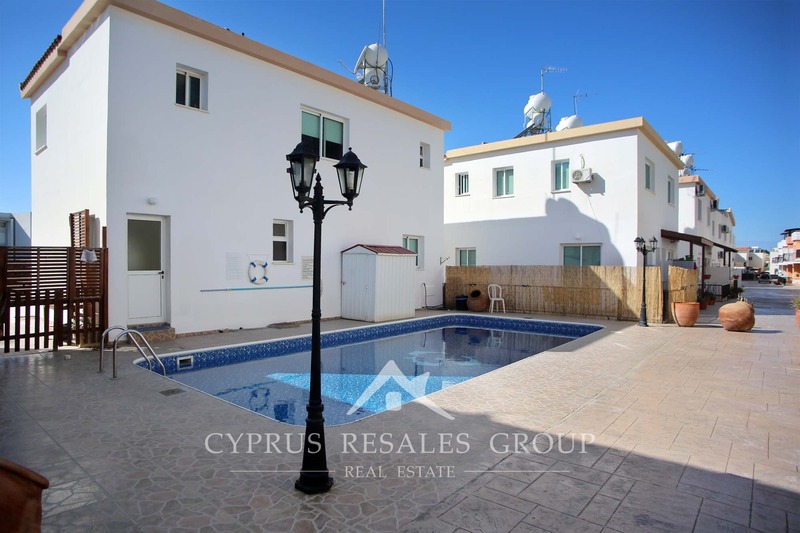 This detached house actually offers a 3 bedroom configuration where the current owners have very successfully integrated a 2nd floor landing into a significant space what serves as a 3rd bedroom. 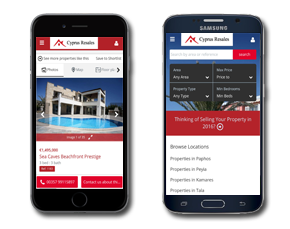 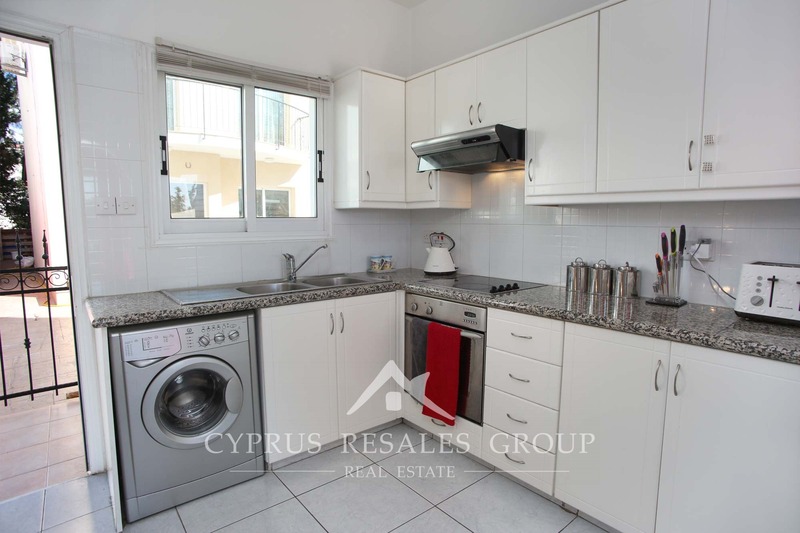 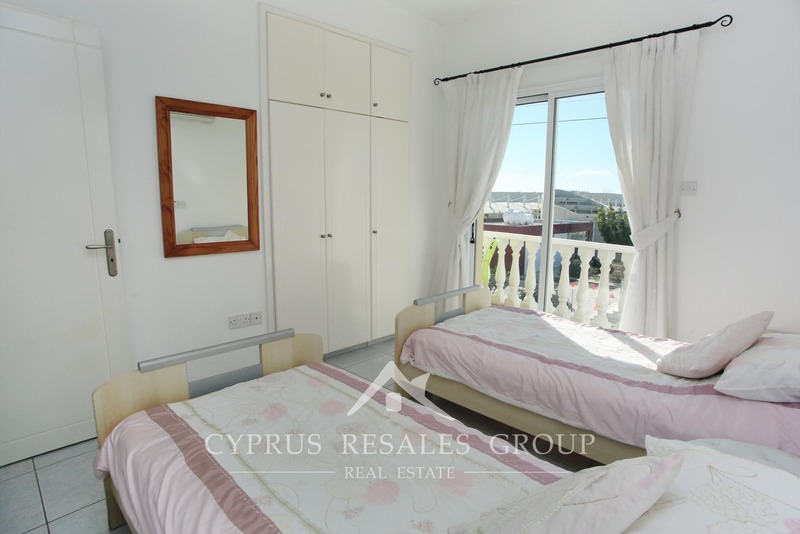 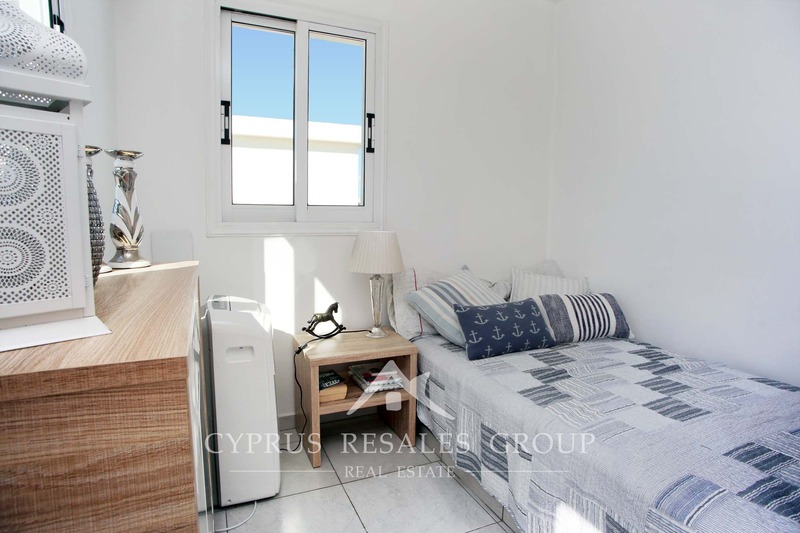 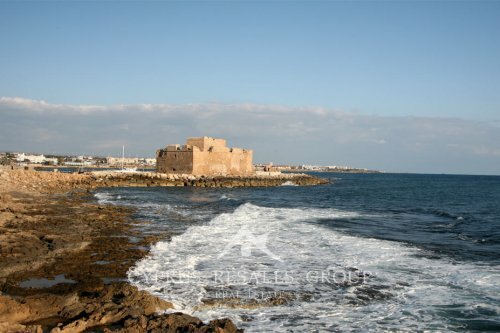 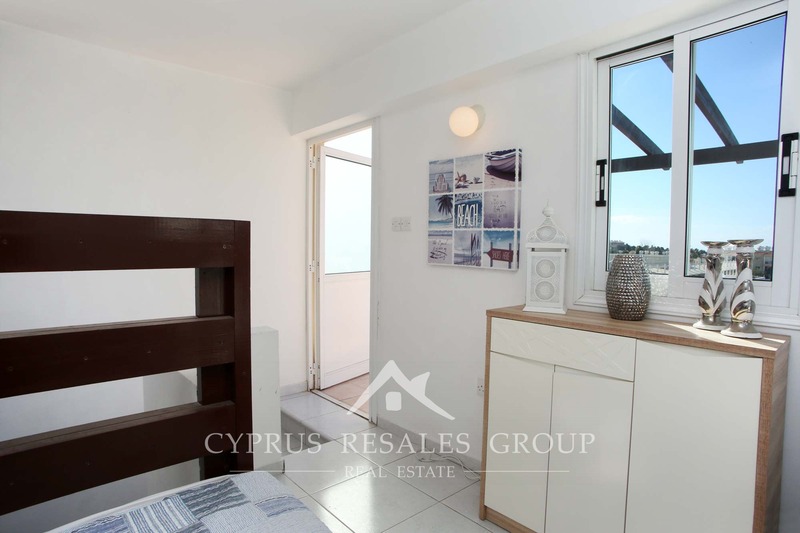 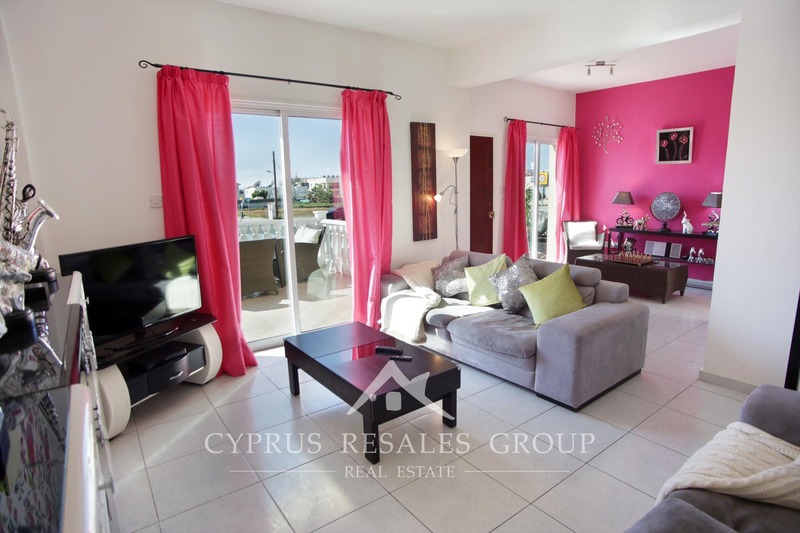 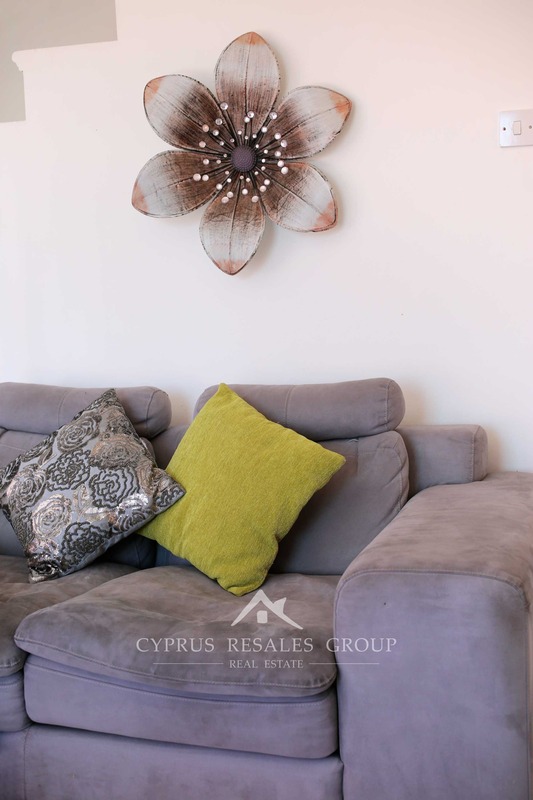 The Universal area is a trendy area of Kato Paphos within easy reach of all the amenities. 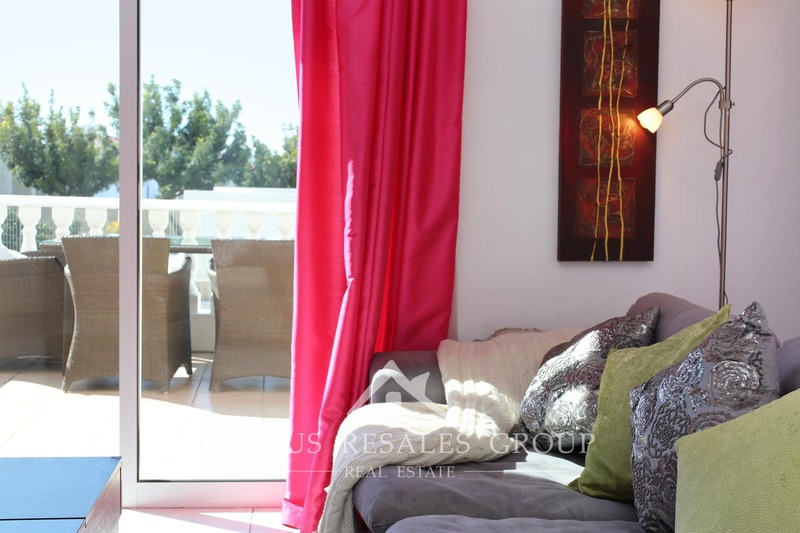 The cosmopolitan Poseidonas Avenue and modern Kings Ave Mall are only 1.5km away from your front door. 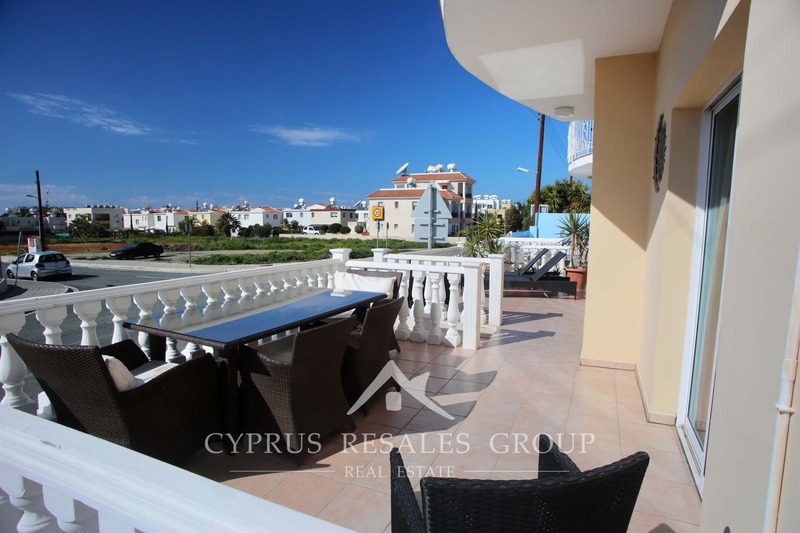 A large front veranda of the villa with a southerly aspect and an expansive vista across the nearby roads is perfect for sun worshipers and ideal for doing a bit of people watching. 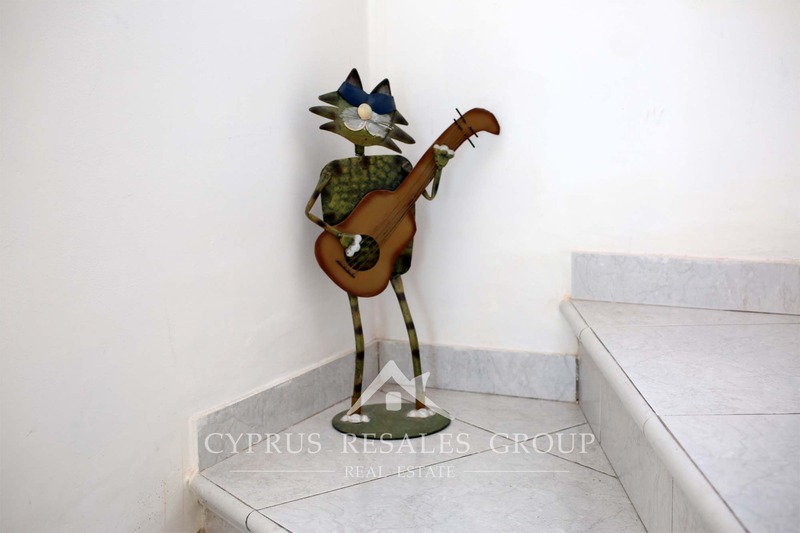 If you have small children you will be thrilled to find the neighboring primary school just across the street, which is also a good neighbor as it closes at 1pm and is completely shut for 3 months over summer. 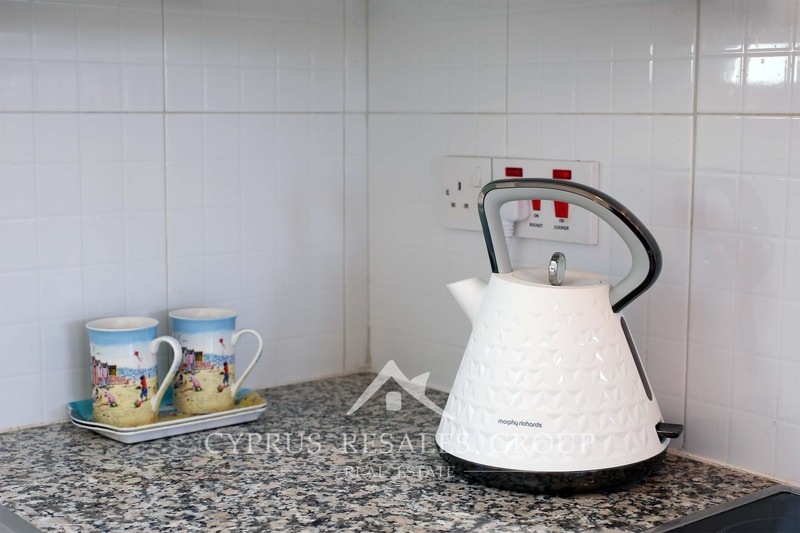 Inside this cheerfully decorated property shows its credentials as a full size family home with a well-proportioned kitchen and a downstairs WC. 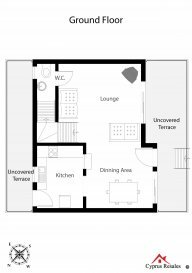 On the first floor both double bedroom share a curved veranda accessed via patio doors. 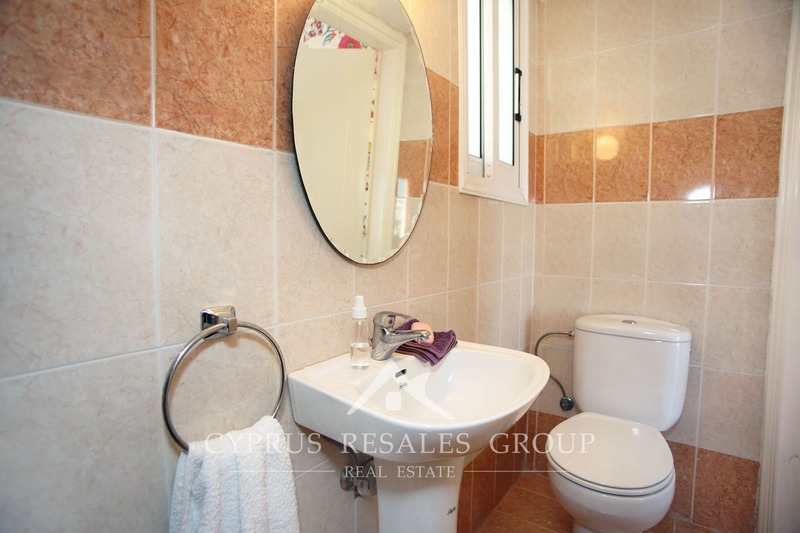 A full size family bathroom is located to the far end of the landing. 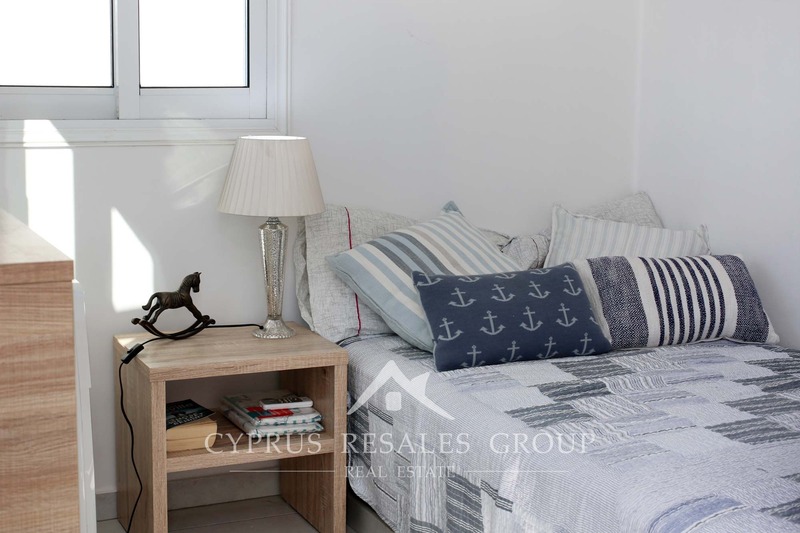 The third floor incorporates the clever extra bedroom area that could just as easily be a private office space. 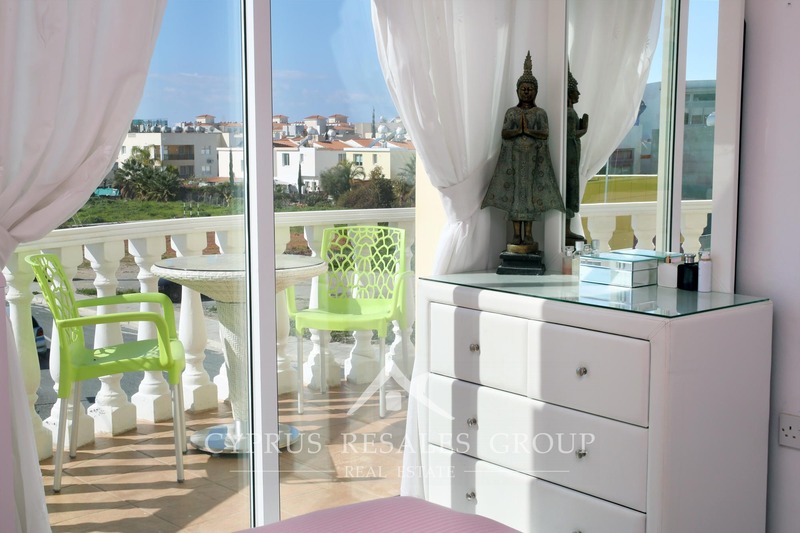 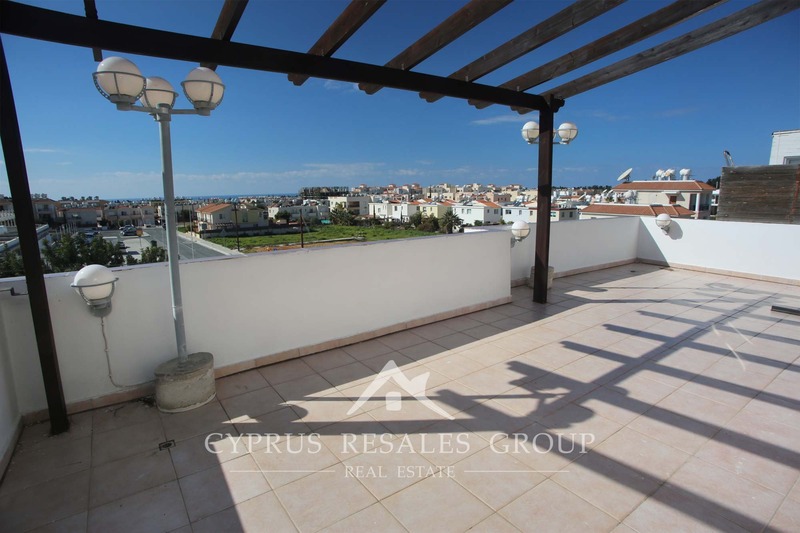 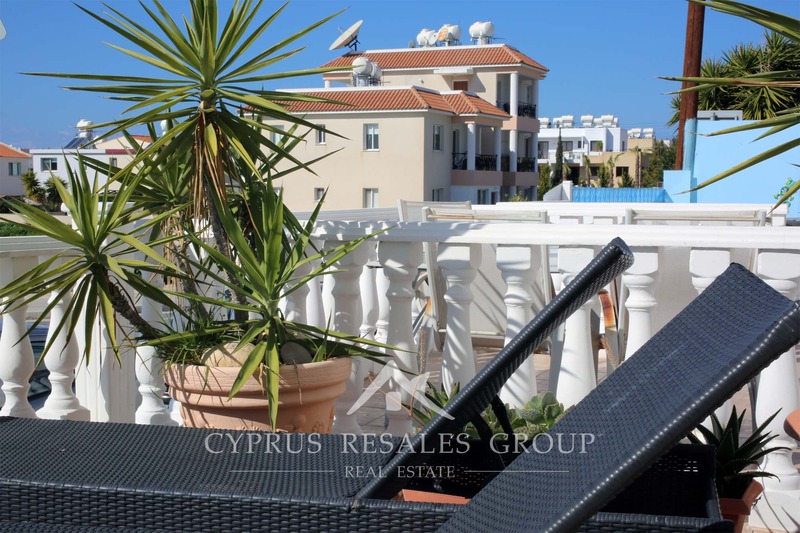 Outside on the roof area we find a large sun terrace and a shower with great city views towards the sea. 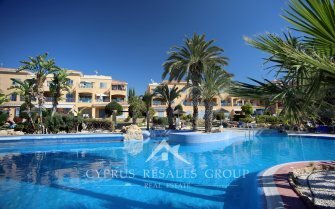 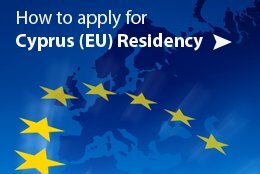 A common swimming pool towards the rear of the project is covered with a very reasonable 300 Euro in common annual expenses.